While the death of Cuban revolutionary leader Fidel Castro caused grief and sorrow worldwide, many could not hide their joy. Political analysts told RT who has been “dancing on the lion’s grave” and why. “So I’m afraid that the dancers in Miami, who might imagine that they are going back to casinos and bordellos are going to be disappointed,” Galloway added. Cuba is like a “bad sheep that got away from the herd,” but become the “hope of the world,” Galloway said. 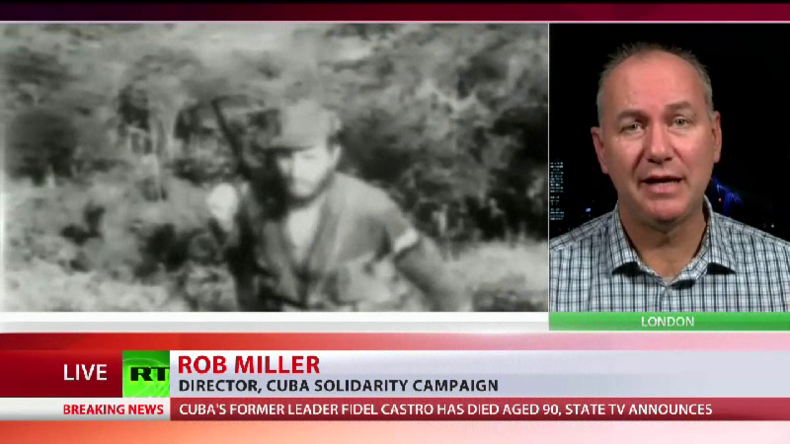 The director of Cuba Solidarity Campaign, Rob Miller, told RT it is “sad” but “understandable” why people were celebrating in the streets of Miami, and that the sentiment will soon change. “In Miami we have one million Cubans who exiled themselves from eleven million Cubans who remained on the island. And primarily their motivation is one of reclaiming their wealth, their privilege, their plantations, their factories, their very large houses, they all enjoyed before the Revolution [in] 1959. 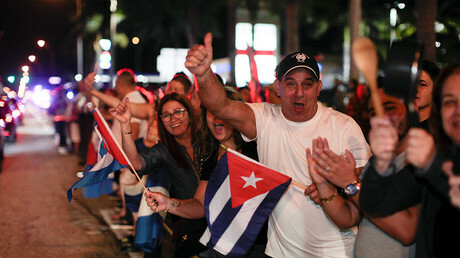 “I think you’ll see a period of this … celebration, but I think there will be a realization that life has to move in [the] direction of a normal, sensible relationship with the 11 million Cubans who inhabit the island just 70 miles away across the Florida straits,” he added. 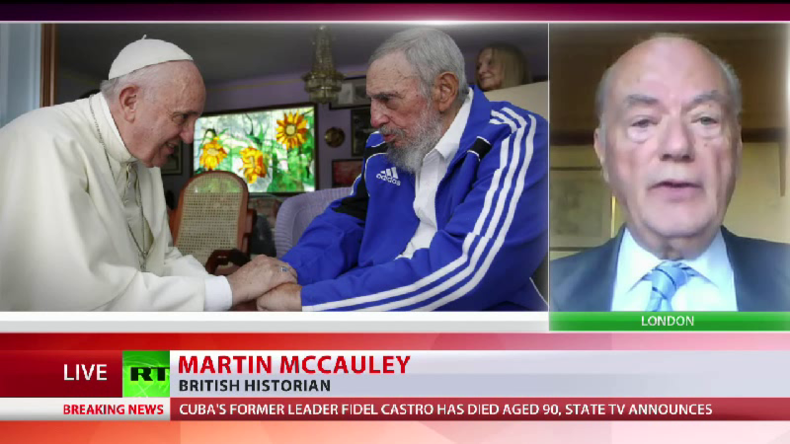 It is understandable that refugees from Cuba have no love for the government, but Cuba is “no longer a threat to the US,” British historian Martin McCauley told RT. “I think that many of them are refugees from Cuba. They would say they suffered discrimination and perhaps even imprisonment in Cuba before they escaped. So, there is no love lost between them and the Cuban communist regime ... so, there are those in Florida among the Cubans there who strongly opposed the closer relationship with Cuba. They don’t want the Communist party legitimized,” he told RT. “But Cuba is no longer a threat to the US. Communism is no longer a threat to the US. So, therefore, perhaps Trump will take a more relaxed and pragmatic attitude to Cuba and send his condolences to the people of Cuba on the death of Fidel Castro, because he changed fundamentally the relations between Cuba and the US from 1959 onward,” he added.